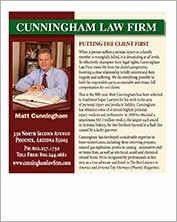 Matt Cunningham is a trial attorney whose practice has concentrated exclusively in plaintiff’s personal injury litigation for 25 years. 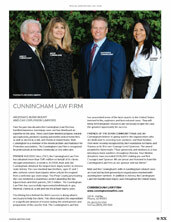 He has handled numerous cases involving defective products, catastrophic injury and wrongful death. 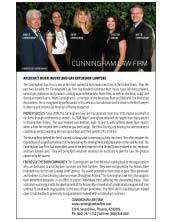 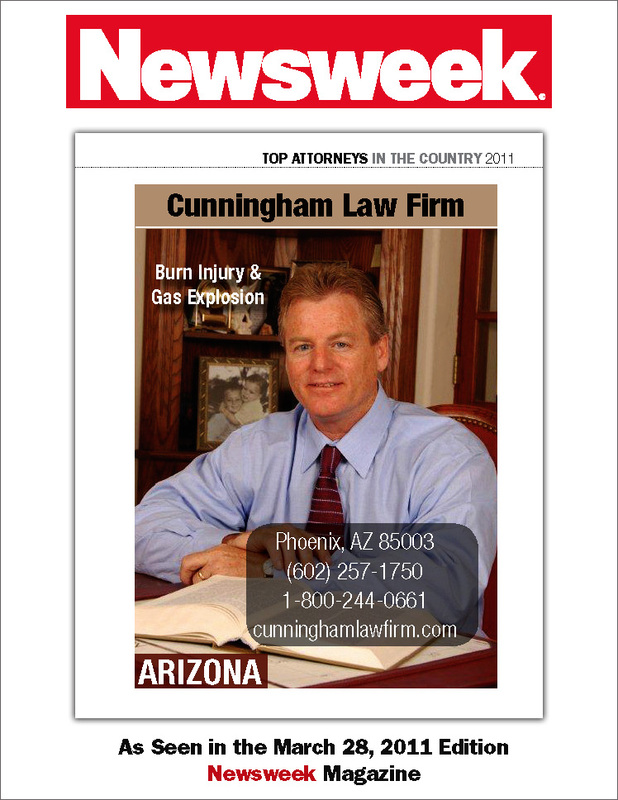 He is listed in the Top 100 Trial Lawyers by The American Trial Lawyers Association, Southwest Super Lawyers 2010 – 2013 and Arizona’s Finest Lawyers, Top Attorneys in Arizona in the May 2013 issue of Phoenix Magazine. 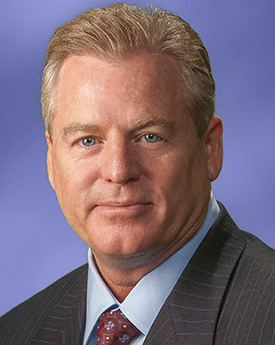 He is an admitted member of the Multi-Million Dollar Advocates Forum. 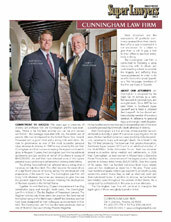 Matt has obtained several multi-million dollar verdicts and settlements on behalf of his clients. 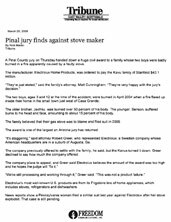 In 2008 Matt Cunningham, as lead counsel in Mutuvi-Kavu v. Electrolux Home Products Inc., obtained one of the largest product liability verdicts in Arizona state history ($43,112,000). 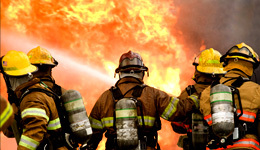 Over the course of his career, Matt has handled numerous burn injury related cases and has developed an expertise in this area. 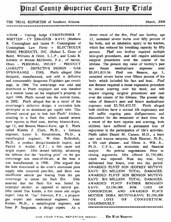 These cases have involved propane, natural gas explosions, products causing automotive and/or home fires, as well as electrical, scald and chemical-related burns. 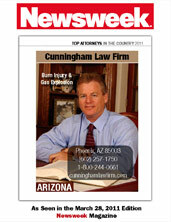 In addition to Arizona, he has handled burn-related cases throughout the United States. 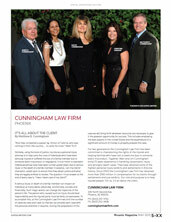 He is recognized by professionals in this area as a true advocate. 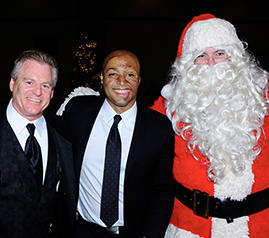 Arizona Burn Foundation’s 2012 Holiday Festival of Trees.